MMA fighter Conor McGregor could be barred from reentering the US if he's convicted in a rampage against a rival's tour bus, according to experts. 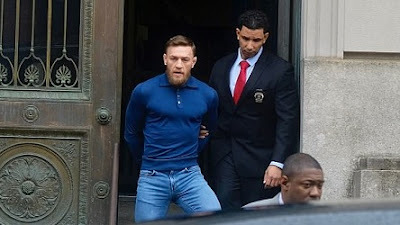 Irish citizen McGregor, 29, was arrested on Thursday night in Brooklyn and charged with one count of felony criminal mischief and three counts of assault after the Barclays Center rampage. 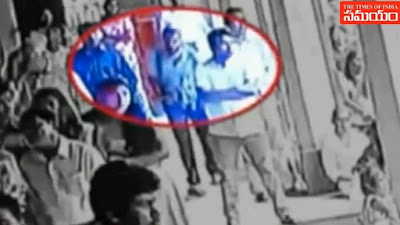 He was caught on video hurling a hand truck through the window of a moving bus in an incident in which there were some injuries. Whether or not the incident affects McGregor's future ability to enter and work in the US will all depend on how the court process plays out, and how skillfully his lawyers respond, said Scott Bratton, a partner at Magaret W. Wong & Associates immigration law firm who is not connected to the case. 'If he's convicted of a crime of moral turpitude, it could have implications for his ability to come back, and it may make it very difficult to come back' to the US, Bratton told DailyMail.com.